Remember - all orders over $100 receive a 10% discount! 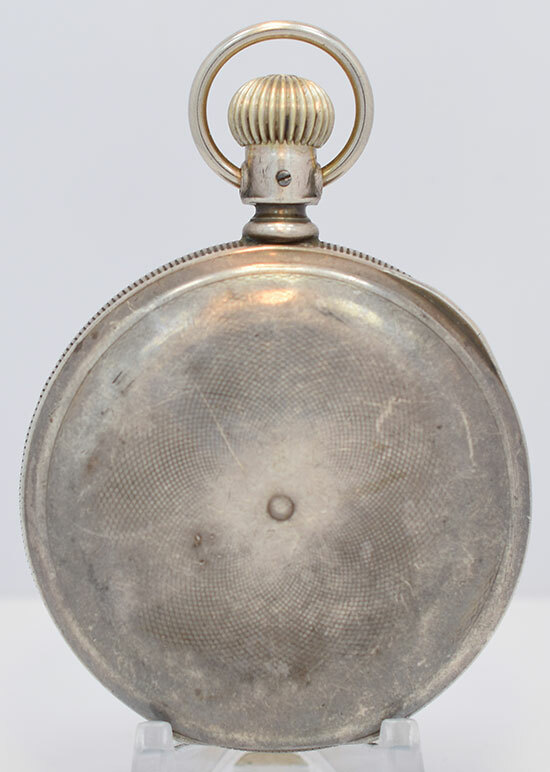 Early Swiss sourced 19 ligne Columbus Watch Co pocket watch. Appears to be 11 jewels. 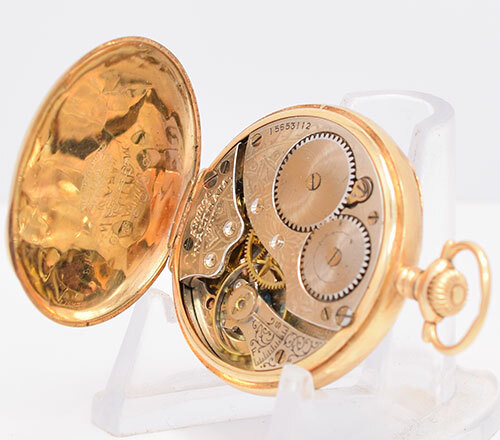 Serial number 11312. 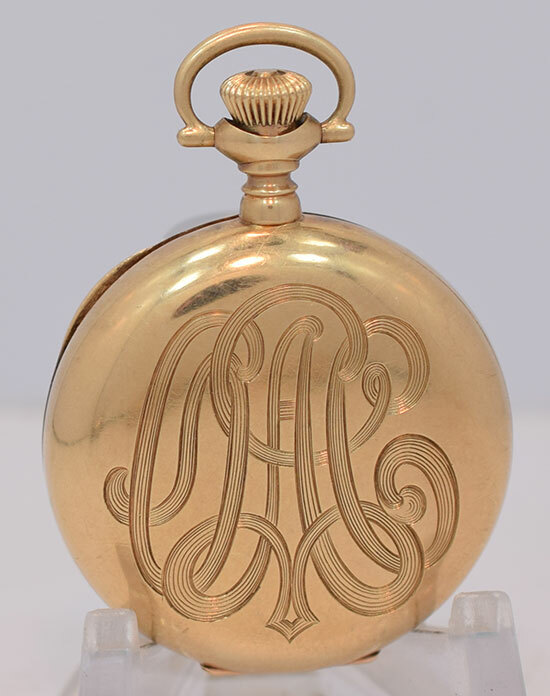 Housed in an American Watch Co 2 1/2 ounce coin silver case. The front cover opens to about 100 degrees. 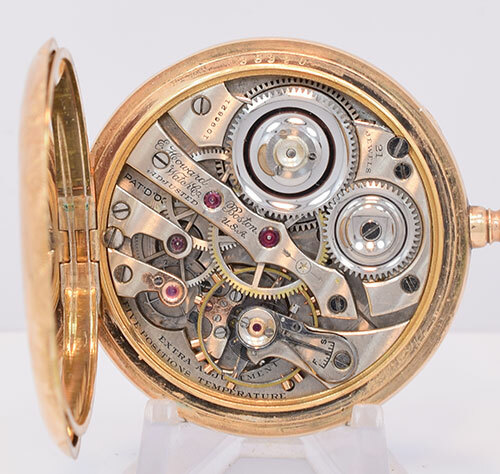 The movement is in nice condition. Running but not recently serviced. 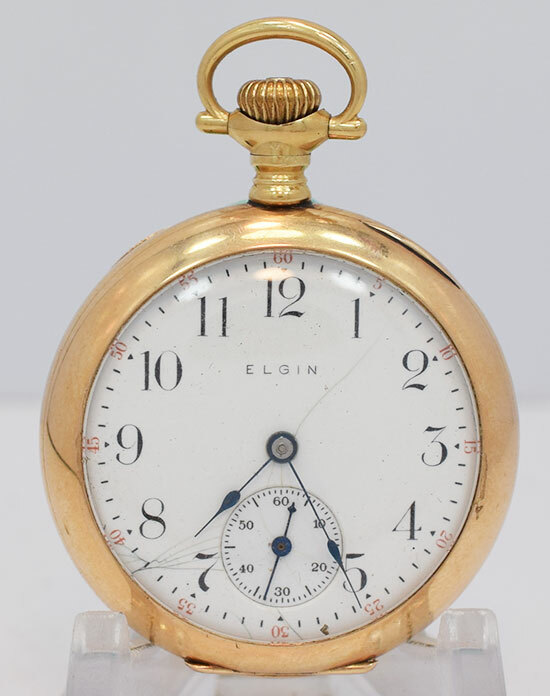 Elgin 16-size grade 571 21 jewel B. W. Raymond pocket watch. 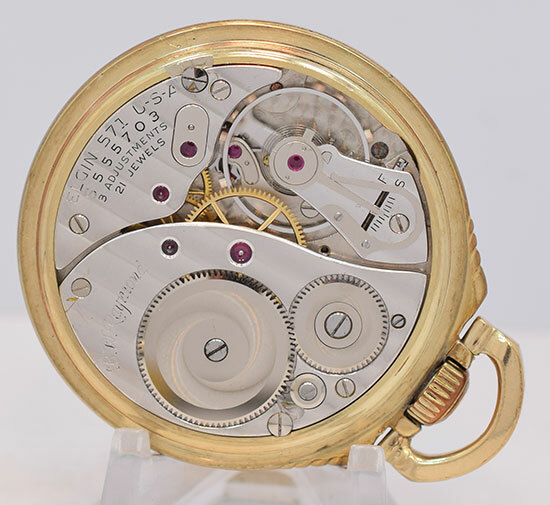 Serial number S555703. 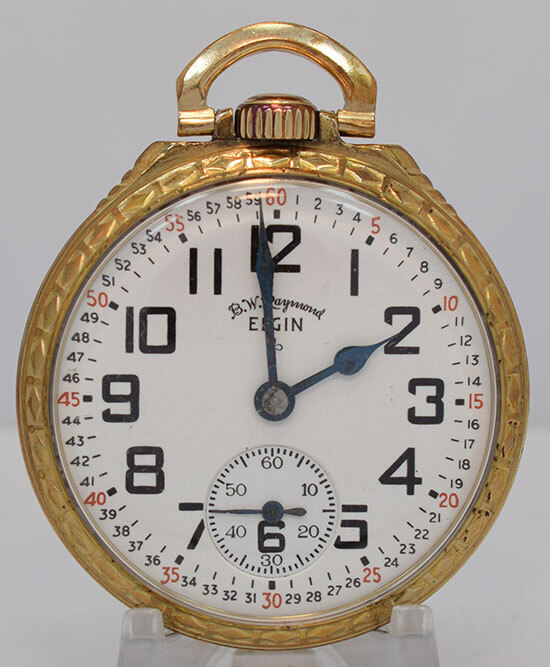 Housed in a Keystone 10K gold filled case marked 'Cased and timed by Elgin'. Running but not recently serviced. 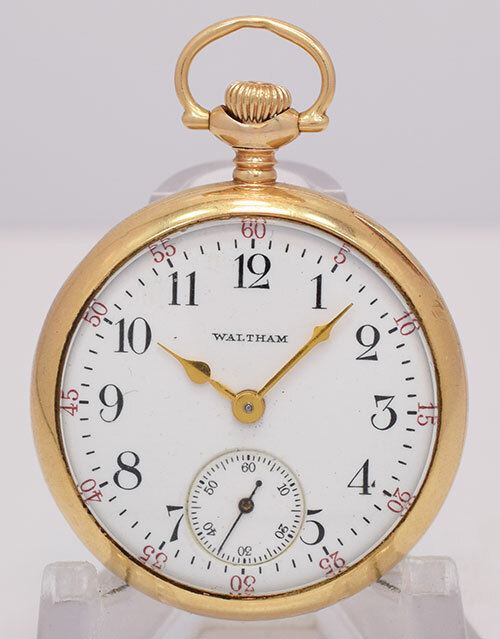 Waltham 0-size model 1907 7 jewel pendant watch. 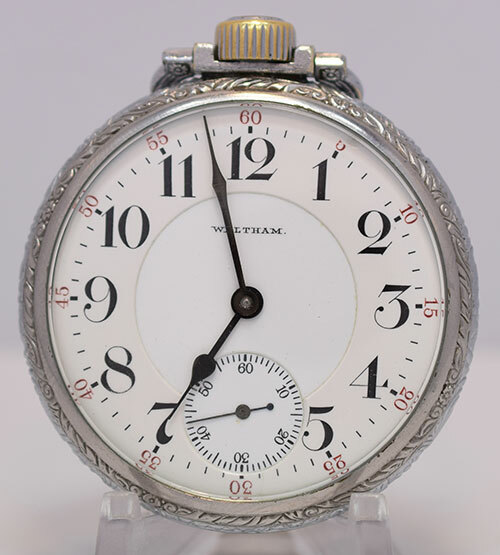 Serial number 14719147. 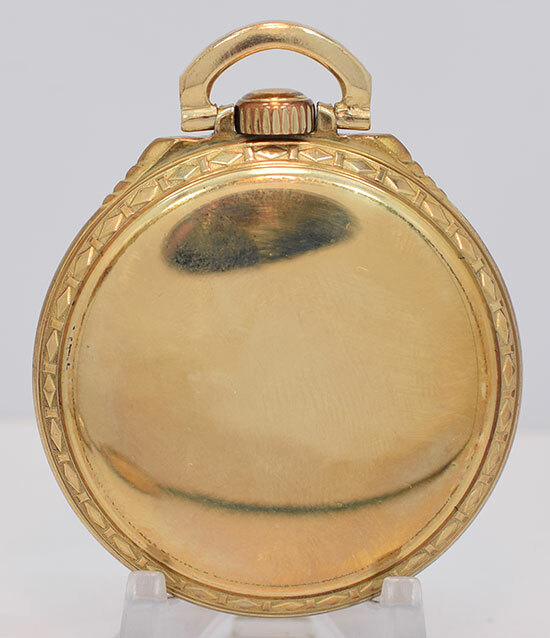 Housed in a Keystone solid 14K gold case weighing approximately 15 grams. Running but not recently serviced. 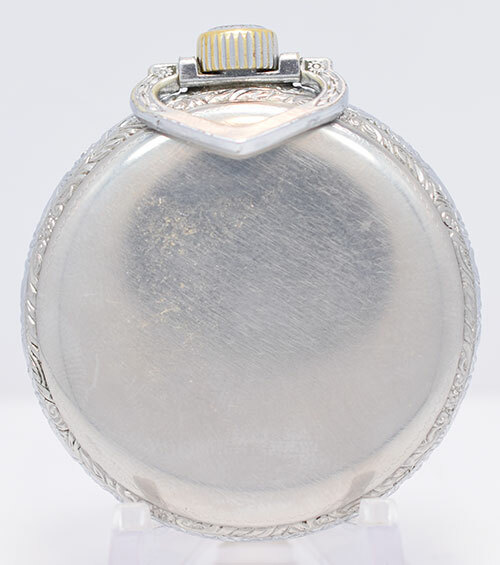 Elgin 0-size grade 324 7 jewel pendant watch. 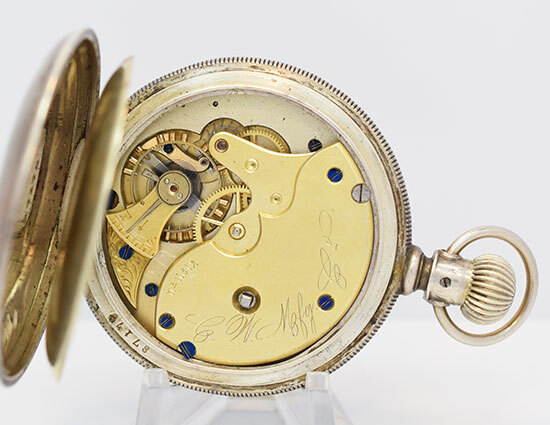 Serial number 14837370. 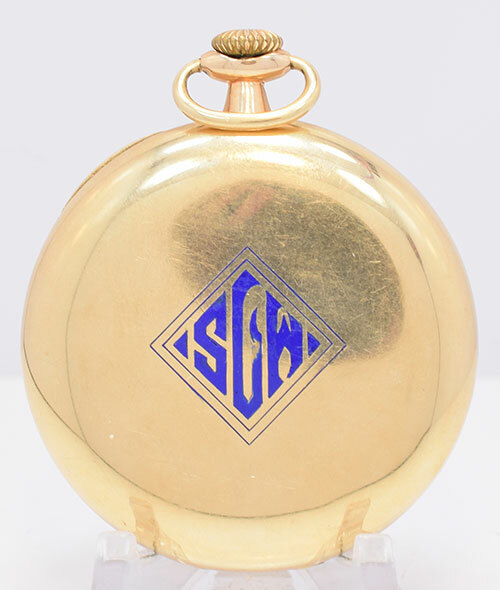 Housed in a Solidarity solid 14K gold case weighing approximately 9 grams. Running but not recently serviced. 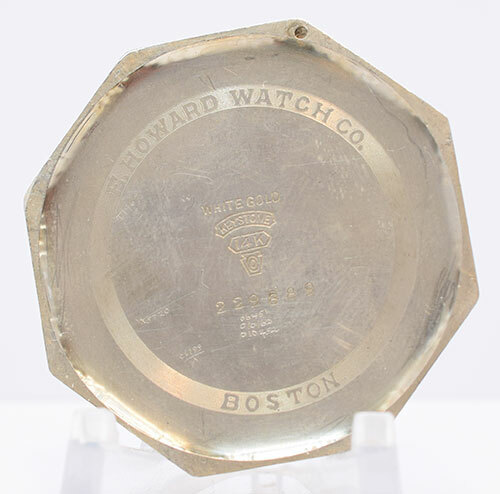 Keystone Howard 16 size, 21 jewel (Series 10?) 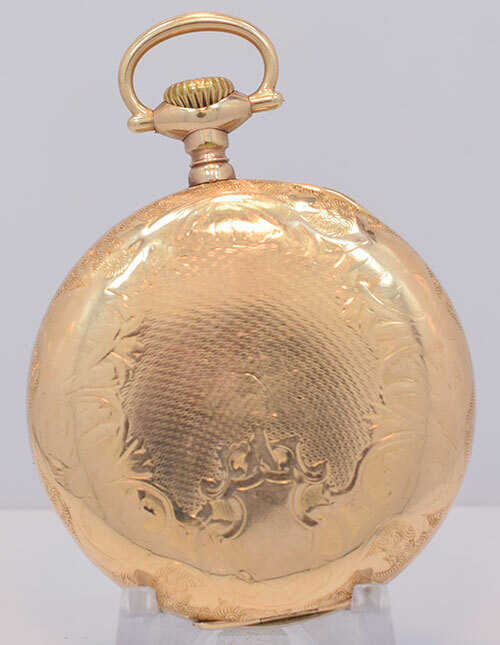 pocket watch. Serial number 1096821. 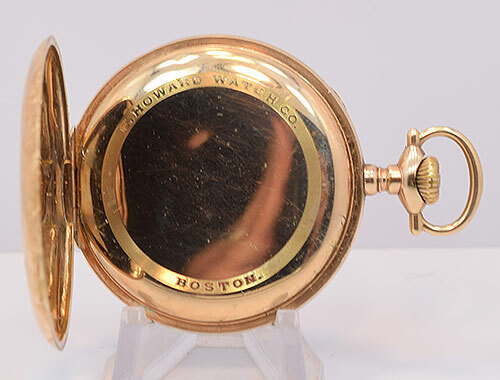 Housed in a Howard marked Keystone 25 year gold filled case. 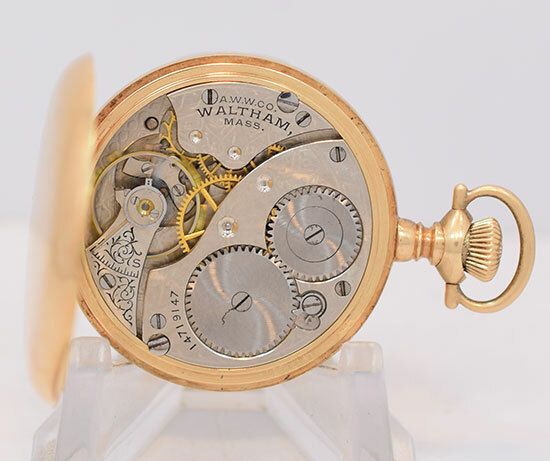 Nice dial except for a small chip at the bottom (hidden by the bezel). Runs but unknown when last serviced. 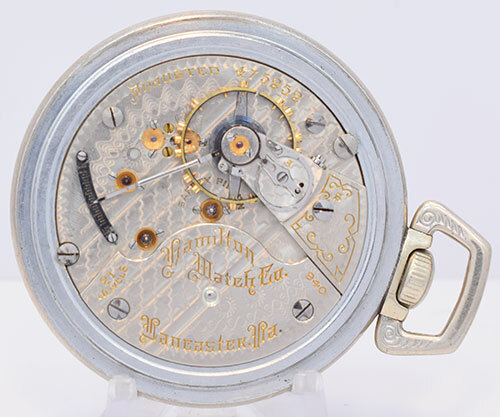 Hamilton 17 jewel model 926. 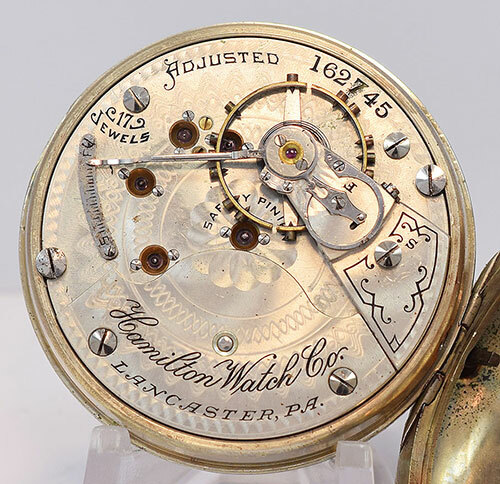 Serial number 162745. 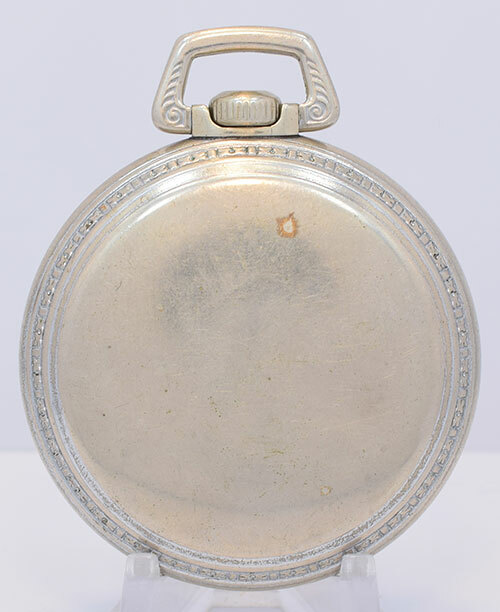 Housed in a Crescent nickel case marked as a loaner (No. 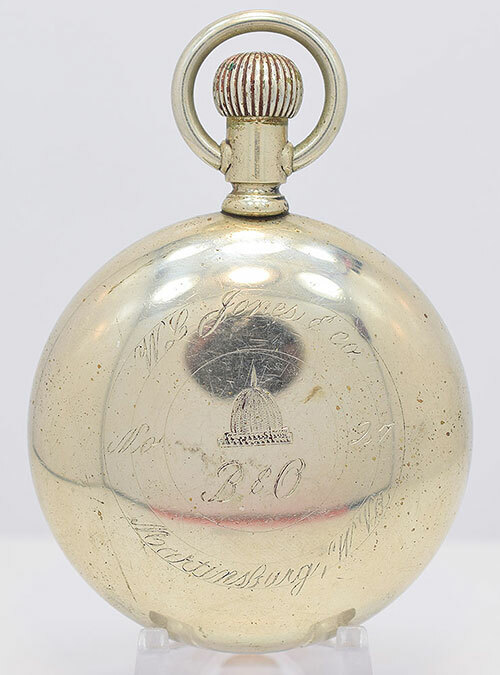 27) for W. L. Jones & Co. of Martinsburg, West Virginia. 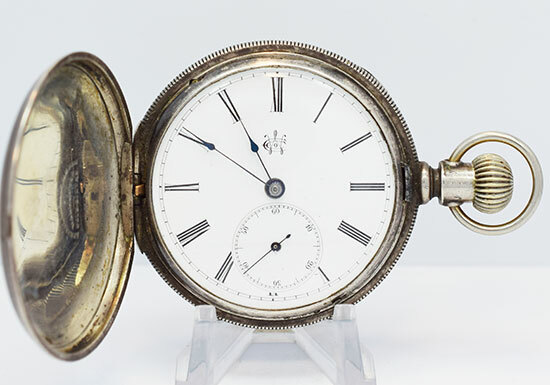 Nice single sunk dial. Plastic crystal. Runs and sets properly. Unknown when last serviced. 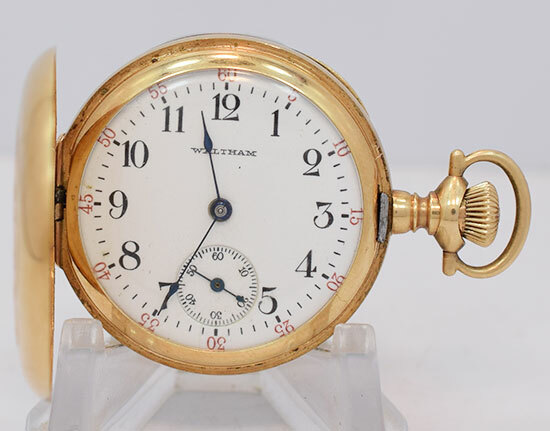 Waltham 16-size 19 jewel model 1908 'Riverside' pocket watch. Serial number 15105791. 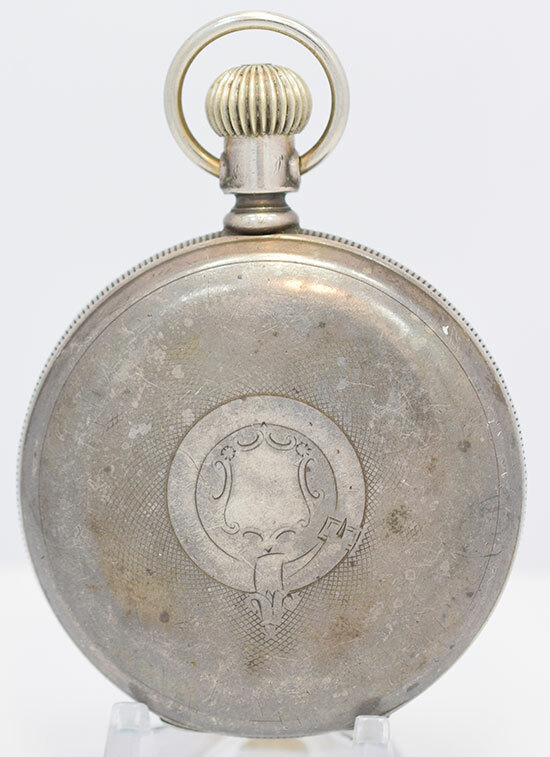 Housed in an Illinois Watch Case Co. base metal case. Lever set. 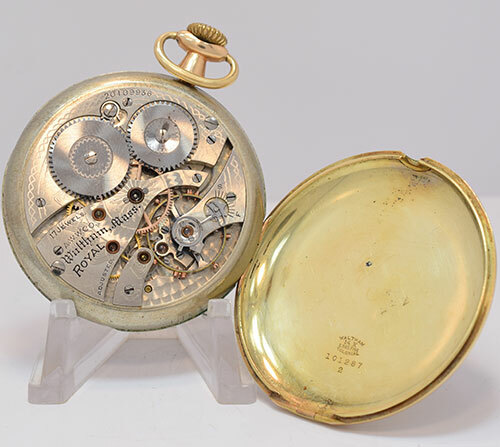 Nice double sunk dial and new crystal. Runs and sets properly. Unknown when last serviced. 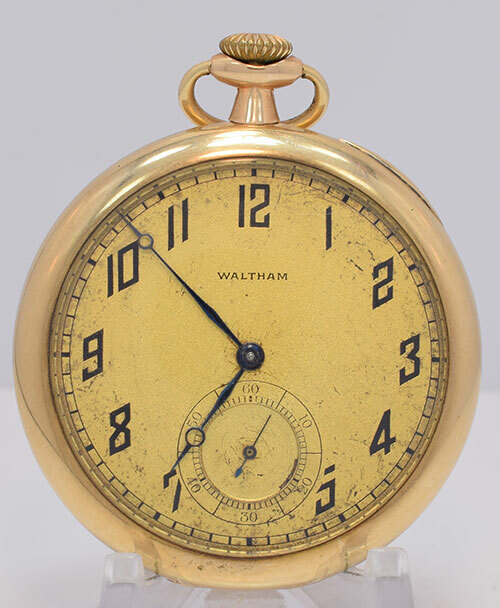 Waltham 0-size 7 jewel model 1900 pocket watch. 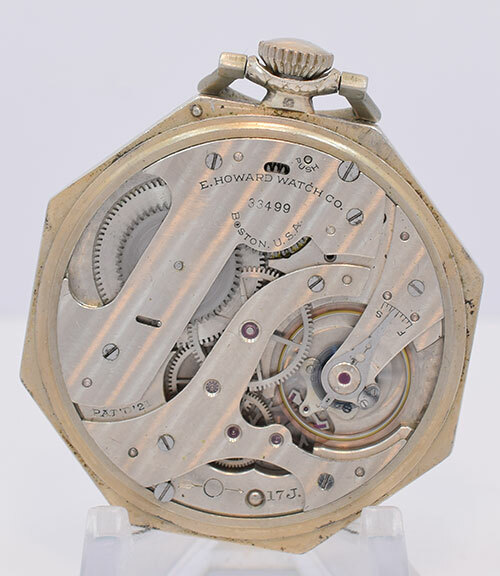 Serial number 15653112. 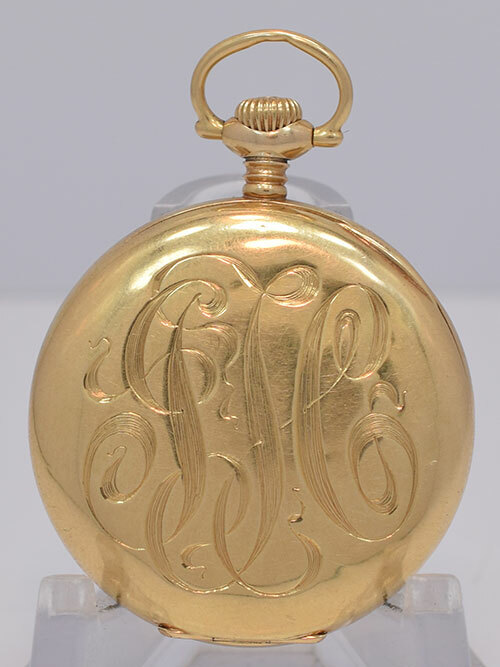 Housed in a B. W. Co. 14K solid gold case. 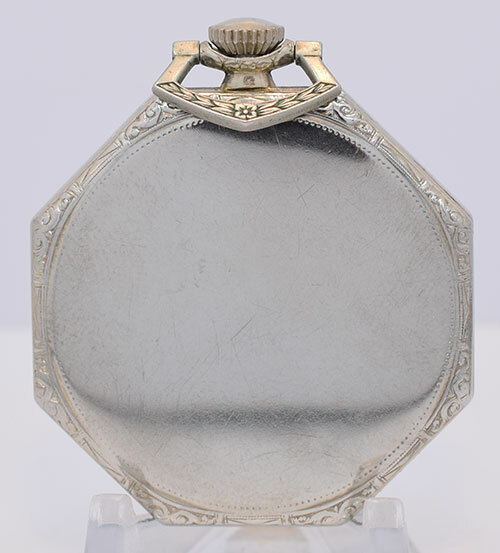 Case weight is about 8 grams. Runs and sets properly. Unknown when last serviced. 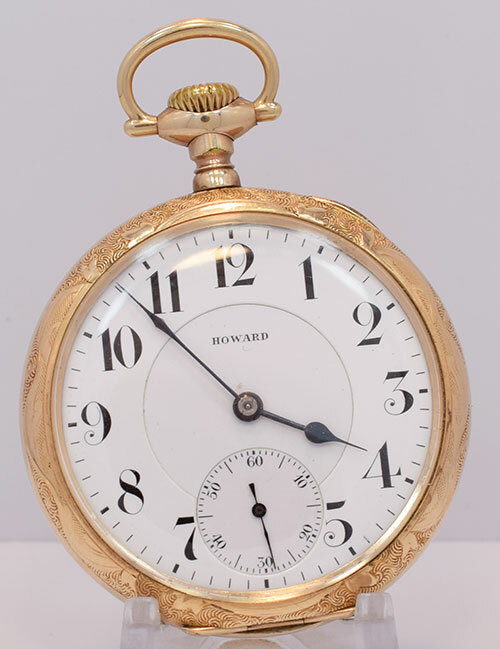 Keystone Howard 10-size thin model 17 jewel pocket watch. 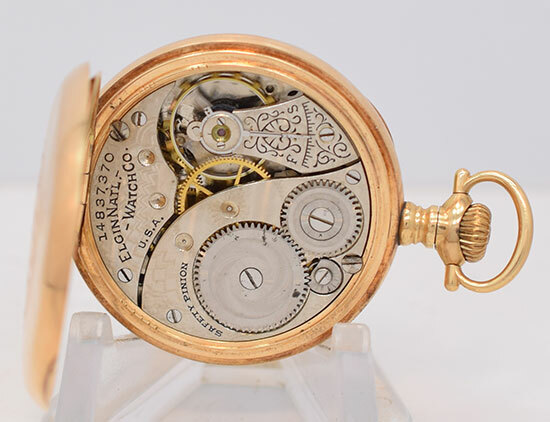 Serial number 33499. 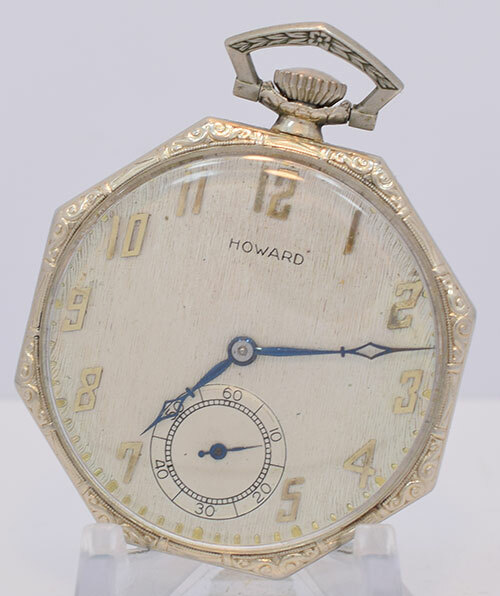 Housed in a Howard marked Keystone solid 14K white gold case. Runs and sets properly. Unknown when last serviced. 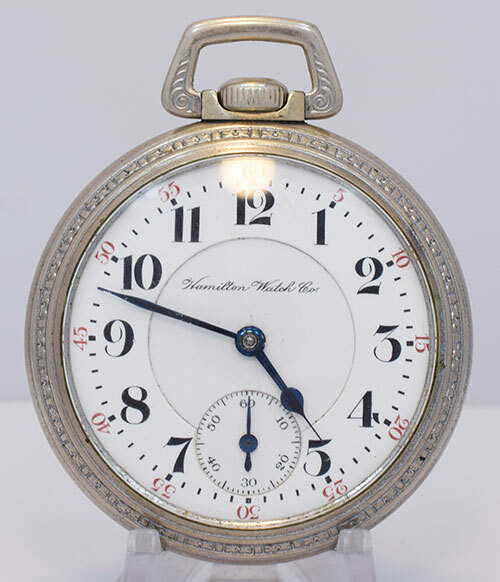 Waltham 12-size model 1894 17 jewel Royal pocket watch. Serial number 20109936. 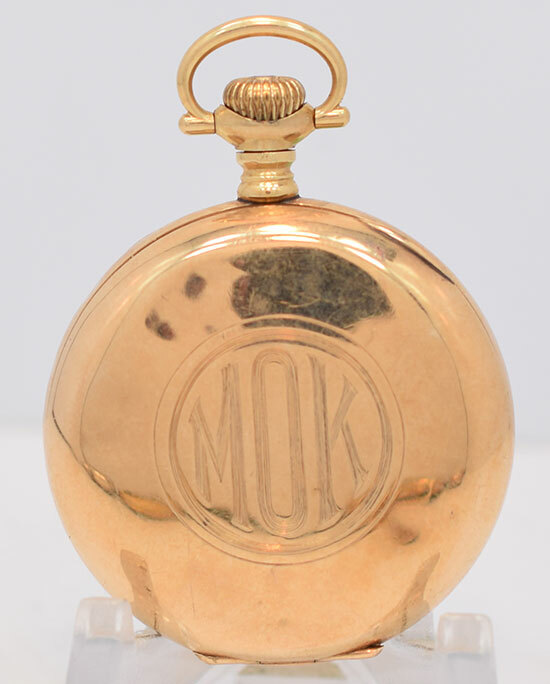 Housed in a Waltham Colonial solid 14K gold swingout case with an enameled monogram on the back. Runs and sets properly. Unknown when last serviced. 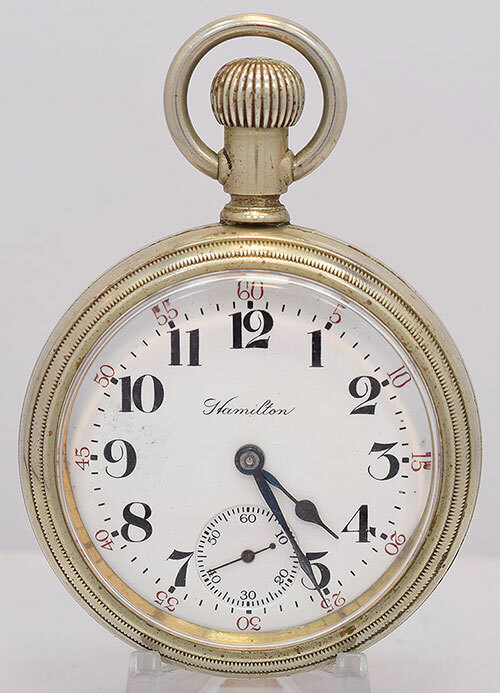 Hamilton 18-size, 21 jewel, grade 940, pocket watch. 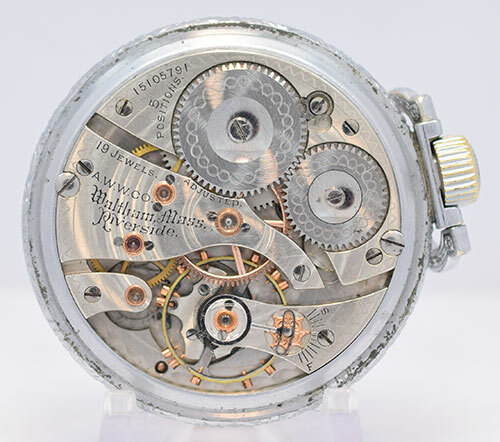 Serial number 475252. 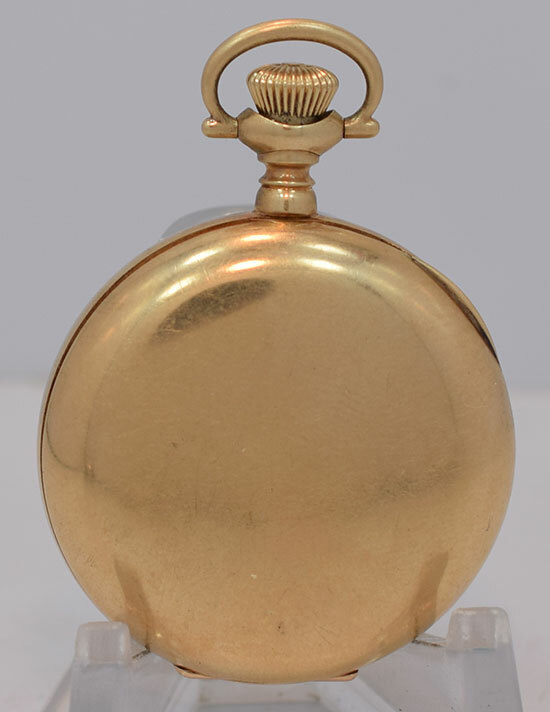 Housed in a Keystone base metal case. Runs and sets properly. Unknown when last serviced.